I wanted to share this month’s UK Glossybox beauty subscription box* with you as it’s a good one. There’s a lovely selection of makeup, hair and skincare products inside and it’s great value for money this month. 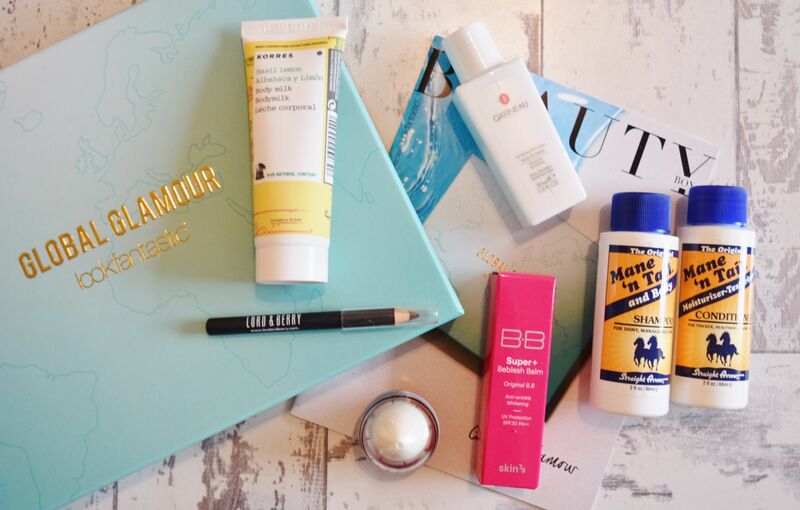 A subscription to Glossybox costs £10 per month plus p&p and this month is definitely worth it. I’m a real fan of Blank Canvas Cosmetics makeup brushes as I’ve been trying out a selection of them recently, including this one. In this box is their F20 Flat Brush (£11.95 from Blank Canvas Cosmetics) and it’s great. It’s a buffing brush with short, densely-packed bristles and you can use it to apply and blend liquid, cream or powder products. Another product that was lovely to see in this month’s box is the Hairon De-Tangle Brush (£6.99 from Hairon). This brush works really well and is a great dupe for the cult Tangle Teezer. You use it on wet hair to get through tugs and tangles easily without snagging and breaking strands. The only skincare product in the box is a sample of the UTan and Tone Nourishing Night Creme (full size £12.50 from UTan & Tone). I have very pale skin and I never fake tan, so I didn’t expect to like this. However, I actually think it’s a really good product. It’s a night cream and a gradual tanner in one, but it doesn’t smell like fake tan, it doesn’t stain your pillows and it gives you a subtle, natural-looking glow. On the night cream side of things, it contains hydrating Hyaluronic acid and protecting anti-oxidents and made my skin feel very nourished when I woke up in the morning. Moving on to makeup, the first product in the box is a pretty tinted lip gloss with SPF 25. The Hawaiian Tropic Island Berry Lip Gloss SPF 25 (£6.99 from Hawaiian Tropic) is a hydrating, non-sticky lip gloss with a pretty and subtle raspberry tint. It has both UVA and UVB protection and is recommended by the Skin Cancer Foundation. This is the perfect product to care for your lips on holiday and look good too. Finally, there’s a full-size Collection Supersize Mascara (£2.99 from Boots). I’ve seen on Instagram that some people got a spray deodorant instead of this, but I’m pleased that I got the mascara. It has a bristled brush that’s densely-packed, so it grabs onto every lash and coats them. As well as building intense volume, it also contains keratin to nourish the lashes too. Would this box make you want to try Glossybox?